If you need assistance or have questions regarding the application process, please contact the Human Resources helpline at (775) 784-1495 or jobs@unr.edu. The University of Nevada, Reno, School of Community Health Sciences is seeking a candidate for a nine-month, state-funded, tenure-track position in Epidemiology at the rank of Assistant Professor. The School of Community Health Sciences has 3,000 declared majors in the undergraduate program with another 70 graduate students in the Master of Public Health program and the recently launched PhD program. The successful applicant is expected to engage in both independent and collaborative research projects, teach successfully in the graduate and undergraduate programs, collaborate with other health researchers in the university system, and engage in the development of the new School of Public Health. We invite applicants from all epidemiology subject matter areas to apply. This posting will close at 12:00 am on the date listed below. The posting will no longer be available to apply to after 11:59 pm the day prior. HR will attempt to verify academic credentials upon receipt of hiring documents. 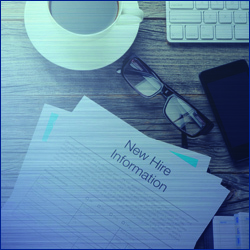 If the academic credentials cannot be verified, HR will notify the faculty member that an official transcript of their highest degree must be submitted within thirty days of the faculty member's first day of employment. References will be contacted at the appropriate phase of the recruitment process. Applicants hired on a federal contract may be subject to E-Verify. Founded in 1874, the University of Nevada, Reno is the State of Nevadas land grant institution with a statewide mission and presence. The University of Nevada, Reno is a Carnegie I Research Institution and has been recognized as a Top Tier Best National University by U.S. News & World Report. With an enrollment of nearly 21,000 students we offer 145 Tier 1 accredited degree programs. Located in the picturesque Truckee Meadows the University of Nevada, Reno is surrounded by numerous state and national parks, is 45 minutes from beautiful Lake Tahoe, and four hours from San Francisco. The Nevada System of Higher Education (NSHE) is committed to providing a place of work and learning free of discrimination on the basis of a persons age, disability, whether actual or perceived by others (including service-connected disabilities), gender (including pregnancy related conditions), military status or military obligations, sexual orientation, gender identity or expression, genetic information, national origin, race, or religion.